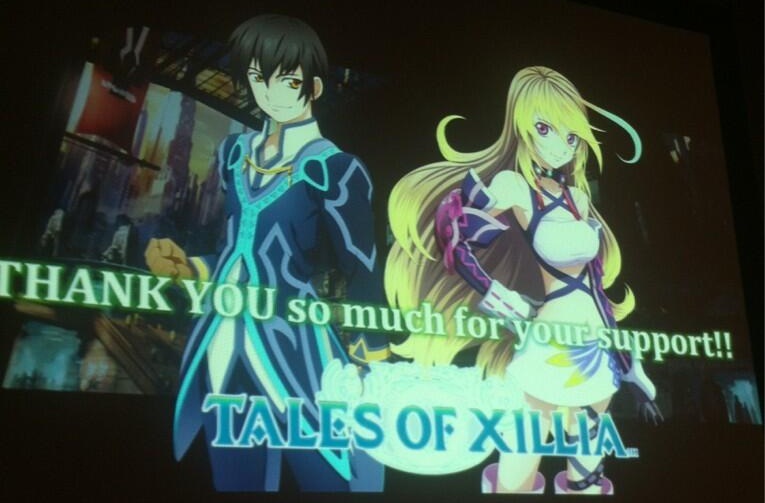 The Tales panel over at New York Comic Con 2013 had a lot of awesome news for Tales fans in the West. 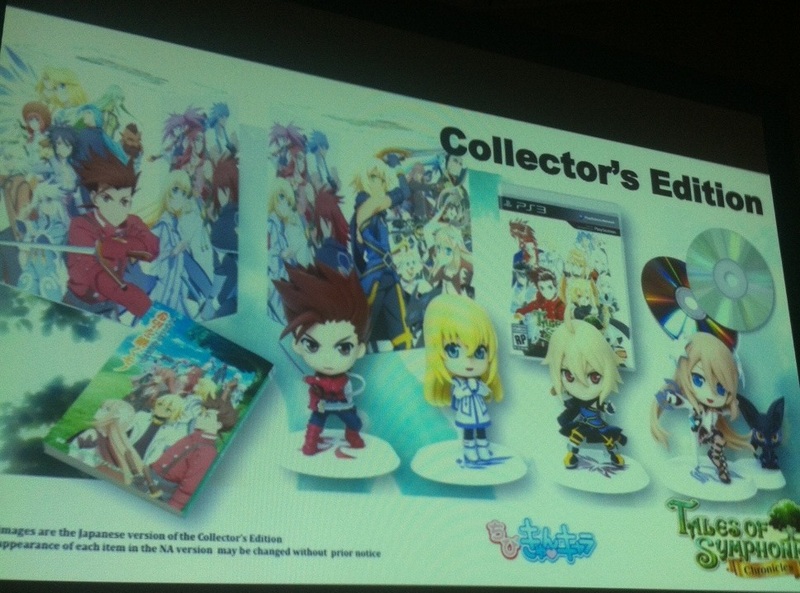 One of them being... Tales of Symphonia Chronicles is getting a Collector's Edition! The said Tales of Symphonia Collector's Edition is actually the Lalabit Market Edition that the Japanese version has. However, it says in the image that the picture they provided is actually the Japanese version, and that some items may change without prior notice. Hrm. Anyway, they also announced that they'll only have 1,500 copies of the Collector's Edition for the US. Better get those pre-orders ready! However, some who were at the event said they said 15,000 copies. We're still waiting on a confirmation from Namco Bandai. 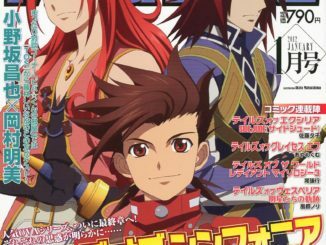 Namco Bandai US has confirmed that they will be preparing 15,000 copies of the Tales of Symphonia Chronicles Collector's Edition. No news yet on when pre-orders will be available, but they just said to keep an eye on Facebook and Twitter. I'm also still not sure if Europe's also confirmed on this, but seeing as Baba-san will be at many events in Europe in the coming days, they'll probably also announce this for that region. They also announced that the recent Tales of Series costumes we've been hearing about for the Japanese version will also be in the US version! 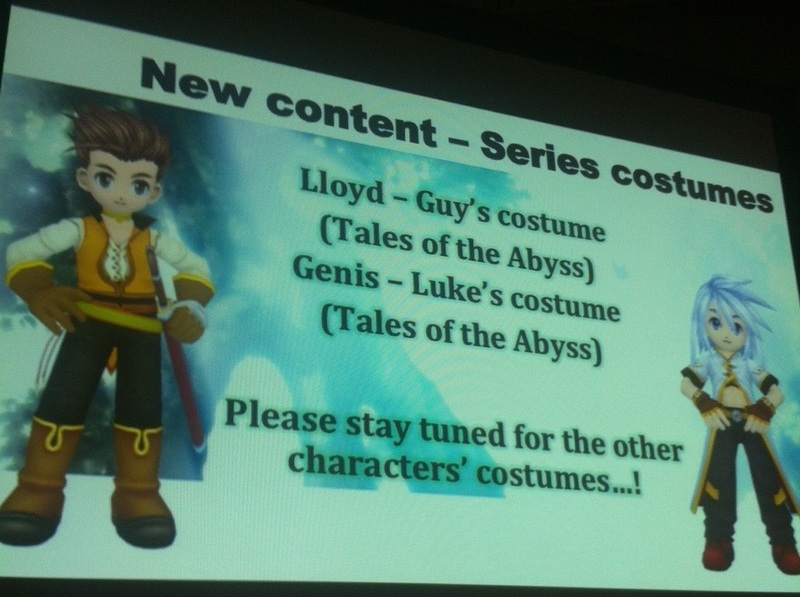 So far, they've announced the Guy Cecil costume for Lloyd and the Luke fon Fabre costume for Genis (both from Tales of the Abyss). Stay tuned for the announcement of the other costumes! 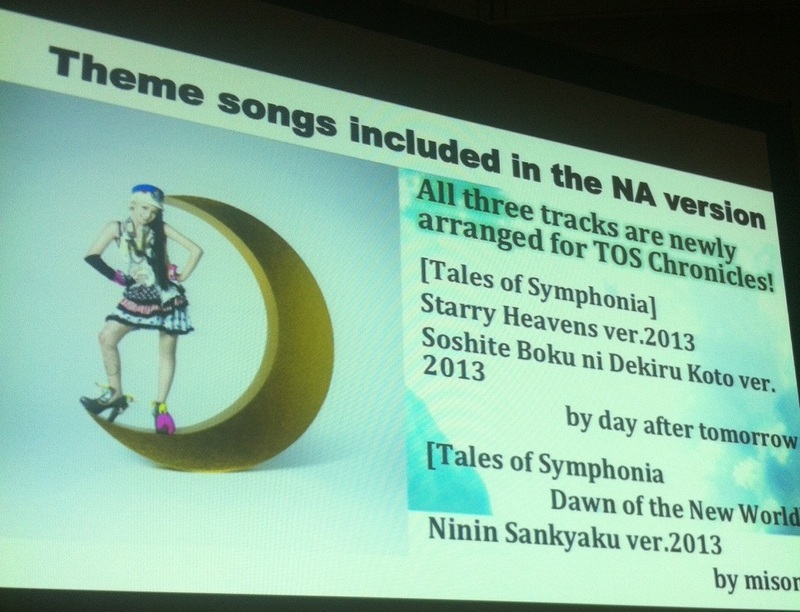 And not only that, it seems that even the Western releases will be getting the Japanese opening themes (or at least the tracks for it are included?). These are all the remixed versions of the original Japanese openings. 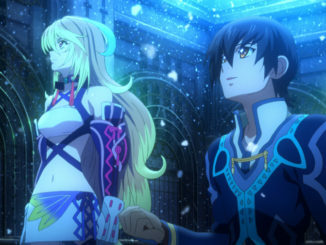 In other news, they also announced that Tales of Xillia has sold over 1 million copies worldwide! Thanks to everyone for making it this far! And also, your Tales of Xillia DLC costumes will be transferable to Tales of Xillia 2! 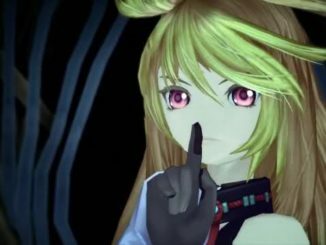 UPDATE: An off-screen video of the trailer has been added, thanks to TalesOfSaku! 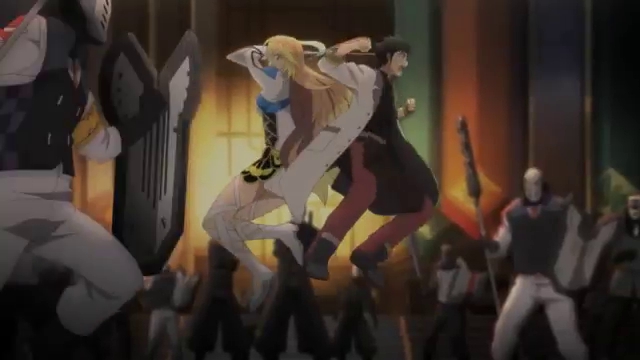 In addition, a new English trailer of Tales of Xillia 2 was also shown at the event. Hopefully we'll also get to see it around soon. Now added! Get to hear the English voices for the first time! Many thanks to TalesOfSaku who was at the event for the news and the pictures and the trailer! This trailer reveals a bit of background such as the Land of Canaan and the return of Exodus. More English lines were revealed in the trailer as well. Tales of Xillia Coming Out This August in Japan?